Enough to keep you – Well Fed. 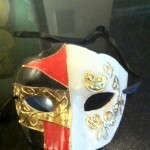 Posted May 4th, 2012 by Jenna & filed under Blog, Community Involvement, Food. Enough to keep you – Skeptical. Posted April 10th, 2012 by Jenna & filed under Blog, Community Involvement.